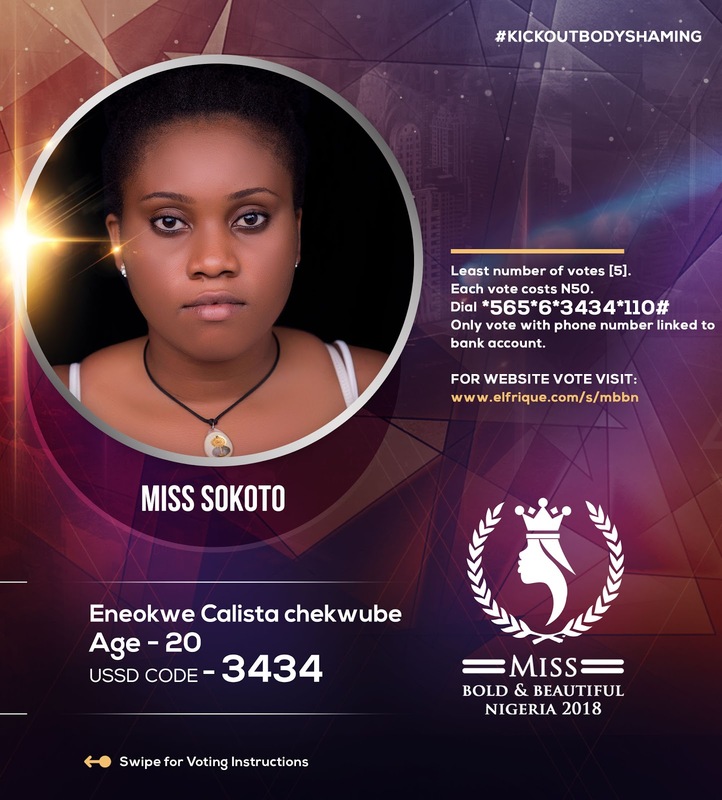 Miss Eneokwe Calista Chekwube. I am 20years old and I reside at liberty estate, Independence Layout, Enugu. I am from Enugu state, Udi local government area. I am the fourth child from a family of five. I am a student of Institute of Management and Technology (IMT) Enugu. My statistics are; bust =39, hips =50, height =5:9, waist =40. I enjoy reading novels, surfing the internet for new ideas, cooking, and travelling. I am in this contest because while growing up I was a victim of body shaming and I realized that God has created everyone the way they are so I learnt to accept myself the way I am and also to show everyone that being plus sized is not a barrier. I intend to kick out body shaming from both genders and to improve a person's personality and the way they show themselves to the world.